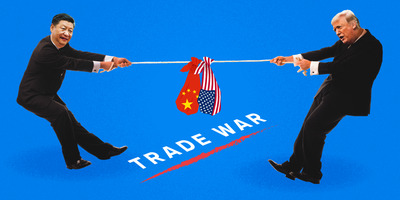 iStock; Lintao Zhang/Getty Images; Win McNamee/Getty Images; Samantha Lee/Business InsiderThe future of the US-China trade war will be decided during a meeting between Presidents Xi Jinping and Donald Trump. President Donald Trump is meeting with Chinese President Xi Jinping on Friday and Saturday at the G20 summit in Argentina. At the top of their agenda: the US-China trade war. The US and China have implemented tariffs on $US360 billion worth of goods flowing between the two countries. Prospects for meaningful progress are dim as the two sides remain far apart on major issues. Trump’s mood could also determine the outcome. The moment of truth for President Donald Trump’s trade war with China is fast approaching. Trump is set to meet with Chinese President Xi Jinping at the G20 summit in Buenos Aires, Argentina, on Friday and Saturday. The meeting with Xi could determine whether the US and China can ultimately resolve their differences and lower tariffs affecting more than half of all trade between the two countries. Or, the outcome could be that the two sides will remain locked in a still-burgeoning trade war with no end in sight. And you may ask yourself, how did we get here? The trade fight between the US and China has been brewing for decades, as Beijing’s economic and political ascendance has threatened the US’ dominance on the world stage. Trump, a longtime proponent of tariffs, seized on China’s growing strength during the 2016 campaign. After a year of courting China as an ally in negotiations with North Korea, Trump turned on Beijing in March with the announcement of tariffs on Chinese goods. The administration argued that the tariffs were a necessary measure to punish China for alleged theft of US intellectual property and would force the ruling Communist Party to reform their economic policies. After a few months of unsuccessful negotiating, Trump imposed the first round of tariffs against China in July. The resulting back-and-forth has led to the current state of affairs: US tariffs on $US250 billion worth of Chinese goods and Chinese tariffs on $US110 billion worth of American goods. Economists have warned that escalation of the trade war or allowing the tariffs to remain in place for an extended period of time would be seriously damaging for the US economy. US companies have warned that the tariffs are harming their businesses, and American farmers are getting whacked by China’s retaliatory measures. The US would also likely move forward with tariffs on the remaining $US255 billion worth of Chinese goods not subject to tariffs. That round of tariffs would squeeze many popular consumer products, and retailers like Walmart have warned the move would likely result in higher prices for customers. While economic concerns and the summit have brought the two leaders together in Buenos Aires, most experts agree that the Trump-Xi meeting will produce little, if any, results. “Given current mistrust, even a truce seems unlikely,” Patrick added. At most, experts say, the two sides could agree to delay the implementation of even more tariffs. Ed Mills, a policy analyst at Raymond James, said there could be some upside in the form of a rough outline of a deal. But the sheer size of issues to discuss likely means that any agreement that could come out of the meeting will be preliminary and not take the larger threat – the so-called economic Cold War – off the table. “We caution that fundamental issues relating to intellectual property and subsidization appear intractable at this stage, which suggests that the broader threat of Chinese trade tensions will persist,” said Isaac Boltansky, a policy analyst at research and trade firm Compass Point. Trump acknowledged in an interview with the Wall Street Journal this week that a deal to prevent the tariff rate from increasing in January is “highly unlikely.” The president also appeared to express misgivings about a possible deal while talking to reporters on Thursday. “I think we’re very close to doing something with China, but I don’t know that I want to do it, because what we have right now is billions and billions of dollars coming into the United States in the form of tariffs or taxes,” Trump said. Most of Trump’s advisers also seem to be urging caution ahead of the meeting. 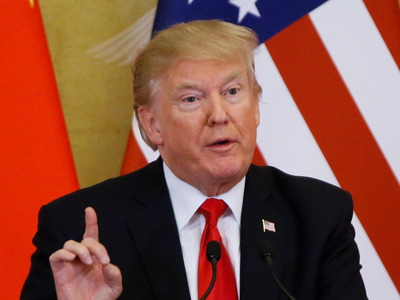 But the increasing pain from the tariffs could compel Trump to agree to some sort of preliminary deal, said Matthew Goodman, senior adviser for Asian economics at the Center for Strategic and International Studies. “My personal guess – and I’m sticking my neck out here – is that there will be some kind of ceasefire agreed to largely because I think President Trump and President Xi both have an incentive to put this dispute on hold,” he said in a recent press call. Goodman argued that the recent US-stock-market woes and China’s slowing economy have put enough pressure on the two sides to make some progress. … but Trump is a wild card. But knowing exactly what will happen when the presidents are face-to-face is impossible because of Trump’s infamous unpredictability. For one thing, Trump’s international trips – the G7 summit, the recent trip to Paris, and more – have been anything but predictable. These trips were marred by fights with other world leaders, Twitter tirades, and refusals to sign on to ceremonial communiqués with other nations. “This binary catalyst will be hugely influenced by Trump’s mood after a long flight to a foreign country at a multilateral summit that will be filled with world leaders whose voters tend to have an extremely negative view of Trump,” Chris Krueger, a strategist at Cowen Washington Research Group, said.